The Echinoblog: How many starfish species are there?? Where do they Live? How long have they been around? 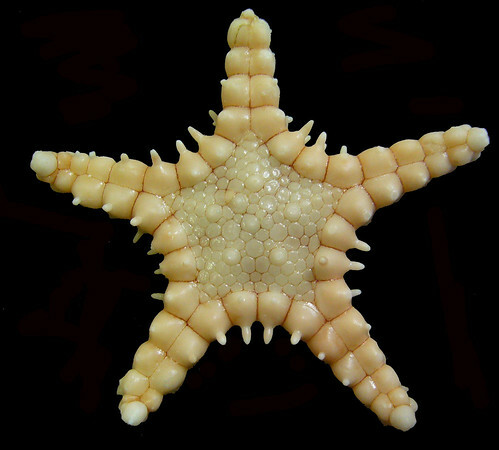 Five Points about Sea Star Diversity! 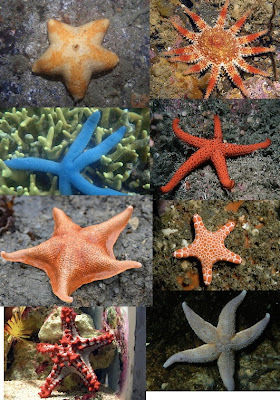 This week, something about the many different KINDS of asteroids (aka sea star or starfish!) that are found throughout the world. Data for this, is from a paper I wrote with Dan Blake last year for PLOS One. You can download it for free here! based on info at the World Asteroidea Database. I can't tell you how many times I've read something about starfish in pop culture or even in pop sci-and the writer assumes that starfish are the SAME all over the world! As if there was only one type. This gets to be annoying..so let me just make sure everyone knows: There's a LOT OF DIFFERENT KINDS OF STARFISH. And they live in different places all around the world. Similarly, I've talked about my field work in Antarctica and in the middle of my story, someone stops me to ask "Wait, there are starfish IN ANTARCTICA??" So here are five things about the diversity of sea stars that will razzle your dazzle and make you a favorite at echinoderm-themed invertebrate zoology parties (esp. those where people are ignorant of starfish)! 1. How Many Starfish Species Are there? At the moment? 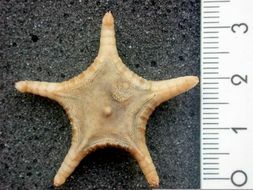 There's about 1900 species of accepted (living) starfish in the database. That runs a bit lower than the larger numbers quoted elsewhere (such as here), but I assure you, that I am doing everything I can to kick that 1900 up a notch every chance I get! Here's a post where I keep track of many of my new species! For those who need to know: the full list is in the PLOS paper listed above. So feel free to click and go! Of the many weird kinds, there's Tremaster, as I discussed here awhile back.. This Antarctic monster! Labidiaster annulatus! The Slime Stars! Yay Mucus! Predatory Sun Stars! And just for good measure- here's a neat assortment from Hawaii! 2. Where Do Starfish Live? All echinoderms, including sea stars, live in the ocean-on the sea bottoms (although their larvae swim in the water column). They are among the few groups of animals which live exclusively in marine habitats. Starfish live in all the oceans! Atlantic! Pacific! Indian! Arctic! Southern! And in answer to the question "Do starfish live in Antarctica?" and "Under the Ice?" Yes! And many starfish also live in the deep-sea (below 200m). Of the 36 living families of sea stars, nineteen of them occur exclusively in the deep-sea (436 species)! Four families are mostly deep sea but with some shallow-water members (1191 species) and several families include large numbers of deep-sea members. Only 8 families live ONLY in tropical habitats (218 species). It turns out that MOST starfish live in cold-water (or temperate) settings, such as the deep-sea or in the polar or near polar regions! So among those deep-sea starfish species, which ones live most deeply? 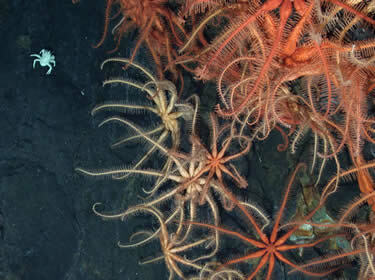 As it turns out several starfish groups occur in the deep abyss below 5000 meters! One of the most commonly encountered deep-sea asteroid groups at that depth is the Porcellanasteridae. They usually live buried in mud, devouring massive amounts of sediment, presumably absorbing digesting various goodies present in it. This feeding mode is similar to the more shallow-water mud stars, which I profiled here. What's weird about this question is that the group with the MOST number of species is probably the group you are least familiar with... Enter: The Goniasteridae! Ding!Ding! This group rings in at a whopping 256 species in 65 genera! Deep sea! Tropical! Antarctic! Shallow! Goniasterids are everywhere (but mostly in cold-water places, in the deep sea)! But usually, in out of the way places, so they don't really turn up in places where people encounter them. So not many folks think of them you ask "what does a starfish look like?" Goniasterids are diverse-and there remain MANY different species yet to be discovered....They are ecologically important in deep-sea AND shallow waters. I'll probably do a full post on this group at some point-but in the mean time here's a bunch so far! Tosia-the biscuit star: hidden species and brooding behavior! here! New genera and species of deep-sea corallivores! here! and some video! 4. 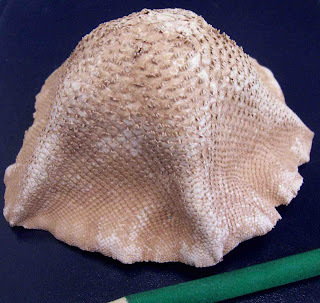 How Many Undescribed Starfish Remain to be found? Its hard to make estimates about stuff that doesn't exist yet! How many more species are out there to be discovered? What is my best estimate??? Sea stars/starfish are big, obvious creatures. One would think that we have found most of them...but you'd be wrong! 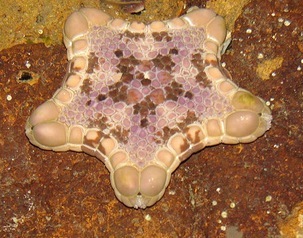 One subject group: The Goniasteride has 256 species in 65 genera. Out of the total # of genera and species: 14% (approx n=9) of genera and 12% (approx n=31) of species were discovered ONLY recently (since 2001). I have further unpublished data on many MORE new goniasterids! Which suggests that the total number of newly discovered genera could go up to 37% and the number of new species could go up to 32%!! Again, the case of Tosia-the biscuit star: hidden species and brooding behavior! here! is a great example. 5. 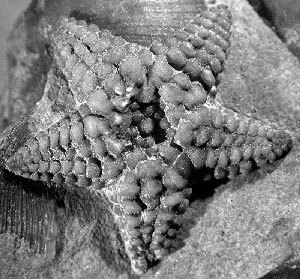 How Long Have We Observed Starfish in the Fossil Record? 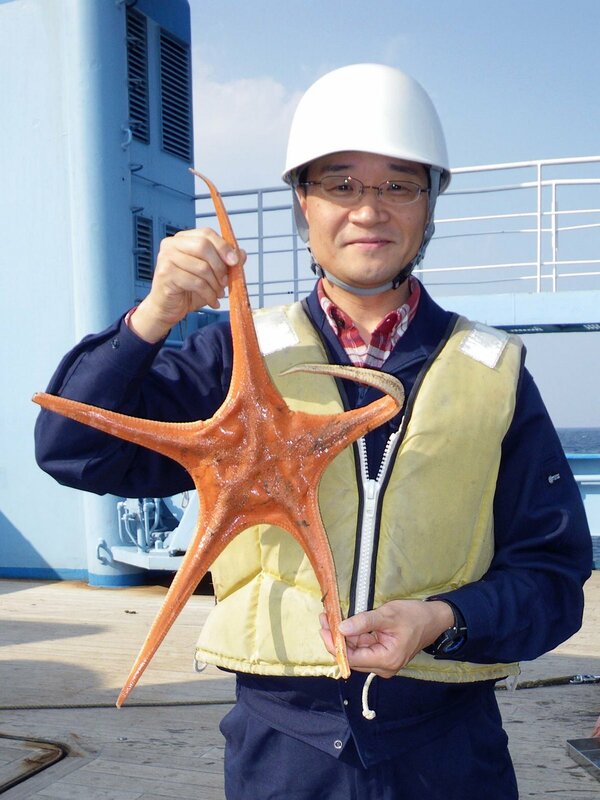 Starfish are old. And their history will doubtlessly fill another post on the Echinoblog some day. A general account of the fossil history of the Asteroidea can be found here. But the short version is this.. Some very early ancient forms (i.e., predecessors to modern day "proper" asteroids) are observed in the Paleozoic (540 to 250 million years ago!). But basically, from then on, ALL modern asteroids continue on to the Recent. In other words, starfish which are alive today are part of the same lineage which has been around since the Triassic (250 to 200 million years ago). A distinct, separate lineage from those in the very, much older Paleozoic. But just to give everyone a "landmark" to gauge what I'm talking about: YES. Starfish are OLDER than dinosaurs. 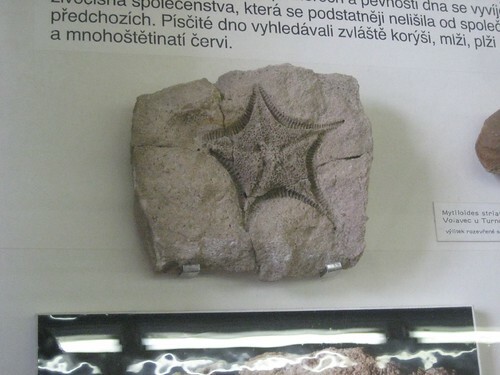 But, fossil goniasterids were highly diverse and the number of fossil species is very high. The actual number of fossil "species" is difficult to compare with living species owing to differences in what geologists called "species" versus what biologists observed in living animals. Uh.. trust me, its complex and I'll get into it another day. But yes. 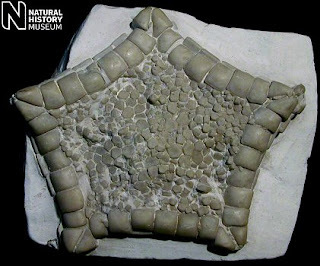 Starfish have been around for quite a long time. Longer than humans (and primates). Longer than dinosaurs. To sum up this week? There are about 1900 species of starfish and that number is climbing. They live everywhere in the ocean! Especially in cold-water habitats like the deep-sea! MANY more species of asteroids remain to be discovered! The fossil record shows that starfish have been around for a LONG time, since before big reptiles roamed the Earth!